The Associated Press is reporting that Apple will switch on its new iBeacons service— which will provide location-aware services to your phone—across its 254 US stores today. iBeacons, which uses low-power Bluetooth transmitters dotted around stores, was announced with the arrival of iOS 7. But while it's been possible for a while, Apple will, unsurprisingly, be the first to roll it out in a major way. 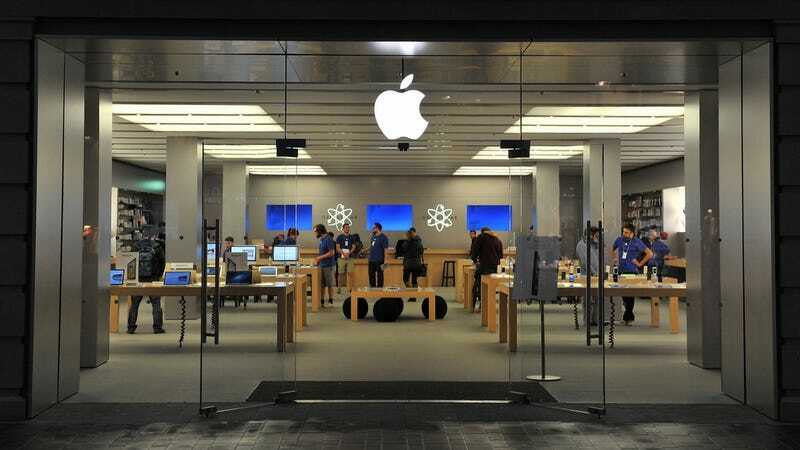 According to the AP, around 20 transmitters have been switched on at Apple's Fifth Avenue store in New York City—some specific Bluetooth transmitters, other signals generated by iPads dotted around the store.Varying signal strength allows Apple to know where you're are standing. Working with the Apple Store app (as long you give it permission to track you), iBeacons will offer an augmented retail experience. If it all goes to plan, the data it offers should be tailored to your needs, based on your location. You might be asked if you wanna upgrade your phone as you drift past the iPhone section, say, and be told how much you could trade your current handset in for. Elsewhere, things might be a little more practical: so, an order number might pop up on your handset as you walk toward an assistant to pick it up.